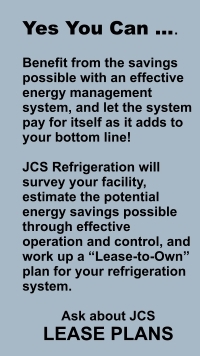 In response to ever increasing energy prices, several years ago JCS began to focus on energy reduction techniques for refrigerated and air conditioned facilities. Progressing from simple no-cost adjustments to system modifications requiring variable speed drives or thermal storage add-ons, we found it relatively easy to increase the efficiency of conventional industrial class refrigeration systems from 10 to 25%. In many instances power company incentives helped with capital expense making it possible to amortize the upgrades in about 12 to 24 months. In projects ranging from Retail Grocery to Production Manufacturing, the common thread to attaining our lower energy targets was a reliable cost-effective control system capable of handling the variables involved, and capable of providing a friendly user interface and remote reset and monitoring capabilities. 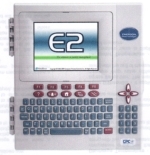 The CPC controller by Emerson is currently in use by thousands of retail establishments across the U.S. It is a microprocessor-based control system that provides complete control of compressors, condensers, evaporator terminals, and other components related to refrigeration and building control. Eight years ago, JCS applied a CPC controller to a local Ice Skating Rink having 250 connected compressor horsepower. Via the application of programs developed by JCS, compressor and condenser power requirements were reduced, and the owner obtained a 25% reduction in his annual power bills. Since that time, the system has been expanded to include control of building A/C, dehumidification, lighting, and total building demand. Each expansion has resulted in power savings as projected, and this control system was put into two other local rinks. Today, JCS has CPC controllers providing energy savings in six rinks from New York to Texas, plus controllers in several local industrial facilities controlling process systems. We can monitor these systems from our computer in Phoenix. We receive alarms should conditions exceed our alarm limits, and we can remotely reset controller set-points to keep systems running smoothly. 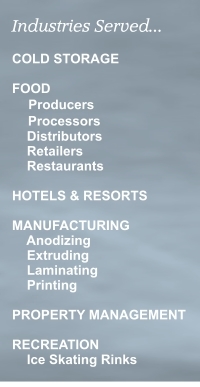 We have a time tested and field proven approach to achieving energy savings for skating rinks and processing facilities. To make such savings attainable, we offer this control system on a Lease Plan. We appreciate the opportunity to evaluate your refrigeration and air conditioning savings potential.... give us a call.